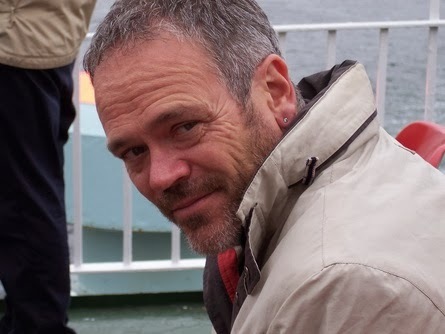 Tomorrow evening you have the chance to hear Stromness based writer, Andrew Greig, read from a selection of his prose and poems at an event organised by Orkney Arts Society, supported by the Scottish Book Trust. 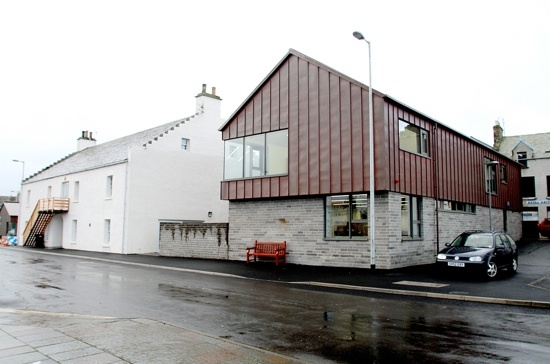 A regular visitor to Stromness Library, Andrew is an award-winning writer of fiction, non-fiction and poetry. His latest novel, Fair Helen, was published by Quercus in August 2013. The reading takes place at the Pier Arts Centre at 7.30pm, and admission at the door is £4.00, with concessions at £3, and school pupils at £1. And if you would like to read some of Andrew's work before hand then pop along to the library, where we have a selection of his titles available to borrow. Our friends in Kirkwall are getting ready for an exciting event on Friday when the Orkney Library and Archive hosts the launch of a new novel by local writer Helen Davis. a darkly humorous novel that follows four young women as they experience the strictures and freedoms of university life, becoming lifelong friends, despite their disparate backgrounds. Davis deftly weaves the 1980's readjustment of British social boundaries into her novel as she transports the reader from coming of age student life in England, through adventure, death and life changing experiences in Peru, to a disastrous attempt at rediscovering lost youth and innocence, nearly thirty years too late. Formerly an academic and lecturer at the University of Sunderland, Helen Davis is the author of Understanding Stuart Hall (the Sociologist and former editor of New Left Review who famously coined the term 'Thatcherism', and sadly died in February this year). A change of direction in 2003 led Helen to retrain as a complementary therapist and move to Orkney, where she lives on Shapinsay. During the ten years she has been in Orkney Helen has moved from academic writing to concentrating on writing fiction, and her short story 'A Kind of Justice' made the short-list for the 2012 Crime Writing Competition of the OrkCrime Festival, judged by bestselling crime writer Ann Cleeves. 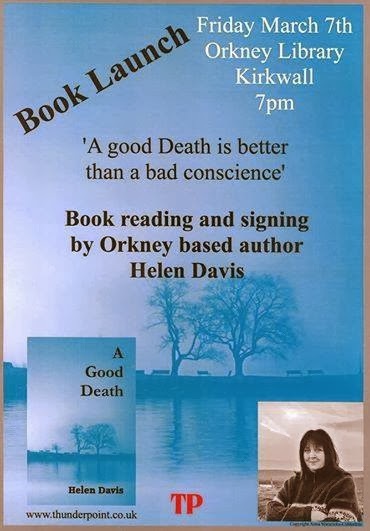 A regular member of the Saturday Slaughters crime fiction reading group in the Kirkwall Library, Helen has chosen the library to launch her debut novel on Friday 7th March at 7pm, when she will read from A Good Death and will sign copies of the book which will be available to buy on the night. The Launch event is free and there is no need to book in advance, just turn up on the night (we heard a rumour there may even be wine). Please note that the Kirkwall Library will be open from 10am until 7pm on Friday 7th to allow you to stock up on library books before Helen's reading starts at 7pm.